Country's radios and televisions have been suggested to air reports on information and communication technology (ICT) under special subhead in their respective news bulletins. 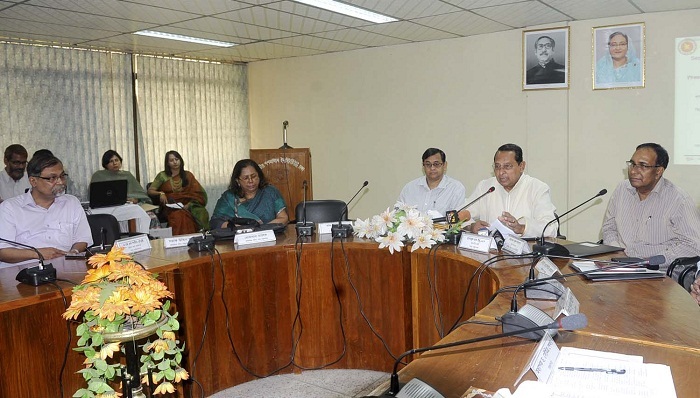 Information Minister Hasanul Huq Inu urged this on Thursday while speaking at the closing ceremony of a workshop for media personnel at National Institute of Mass Communication (NIMCO) at Kalyanpur in the city, reports BSS. "ICT related reports demand coverage with importance along with national, international, business and sports news keeping pace with the demand of the time and the forward march of digital Bangladesh," Inu said. Earlier, the minister inaugurated newly constructed Russel Auditorium of NIMCO at Darus Salam Road. The minster urged the mass media to make and air information based programmes on ICT in addition to news reports. He said the mass media can play a pioneering role in taking forward the successful application of the blessings of ICT in Bangladesh and Prime Minister Sheikh Hasina's initiatives to uproot militancy and terrorism. The people have the right to know how the government is taking forward the country using the blessings of ICT and protecting the country from militancy and terrorism, he added. The minister said the journalists can play a big role in prevention of militancy and terrorism. The media should air news reports and other programmes on prevention of militancy through the use of modern ICT, he added. The information minister said the government has given special importance to ICT sector to attain Sustainable Development Goals (SDGs). This sector will generate employment opportunities for a large number of people and play a big role in earning foreign exchange, he added. Presided over by NIMCO Director General M Nurul Islam, the function was attended by Information Secretary Martuza Ahmed and Prime Minister's Office A2I Project Director Kabir Bin Anowar as special guests. Principal Information Officer AKM Shamim, Bangladesh Betar Director General AKM Nesar Uddin Bhuiyan, Department of Mass Communication Director General Begum Kamrunnahar, Department of Film and Publication Director General Mohammad Liakat Ali Khan, Press Institute of Bangladesh Director General Shah Alamgir and Information Ministry Additional Secretary Roksana Malek spoke at the workshop, among others.